Single port procedures using specialized ports and specialized articulating instruments have been done at various institutions. We are regularly doing LESS procedures such as laparoscopic hysterectomy, cholecystectomy, oophrectomy and radical hysterectomy using conventional ports and conventional instruments. A single transverse umbilical incision about 2cm was taken, a 10mm conventional trocar was inserted for the camera and two 5mm ports were used on either side in the same incision. A 10mm 0 degree scope was used for the procedure. We have performed 10 Total Laparoscopy Hysterectomies, 3 cholecystectomies, 1 oophrectomy and 2 radical hysterectomies. The operation time taken was comparable to the conventional laparoscopic procedures. 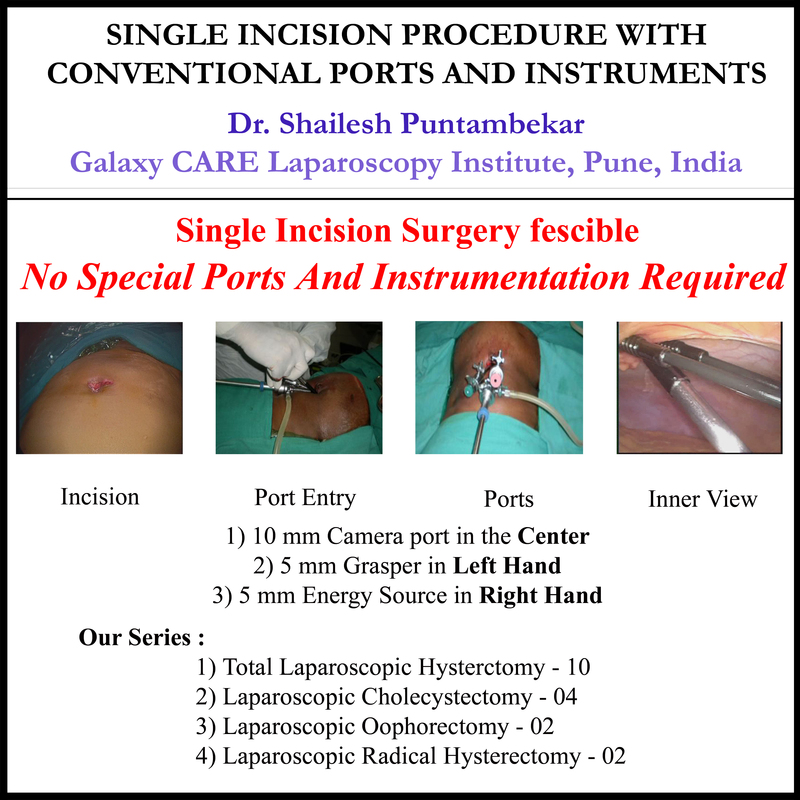 Single incision procedure with normal ports is technically feasible however it is highly operator dependent and requires high degree of skills. The steps however needs further standardization.